ModMind has had a powerful impact in schools across the country with only five minutes of practice a day! 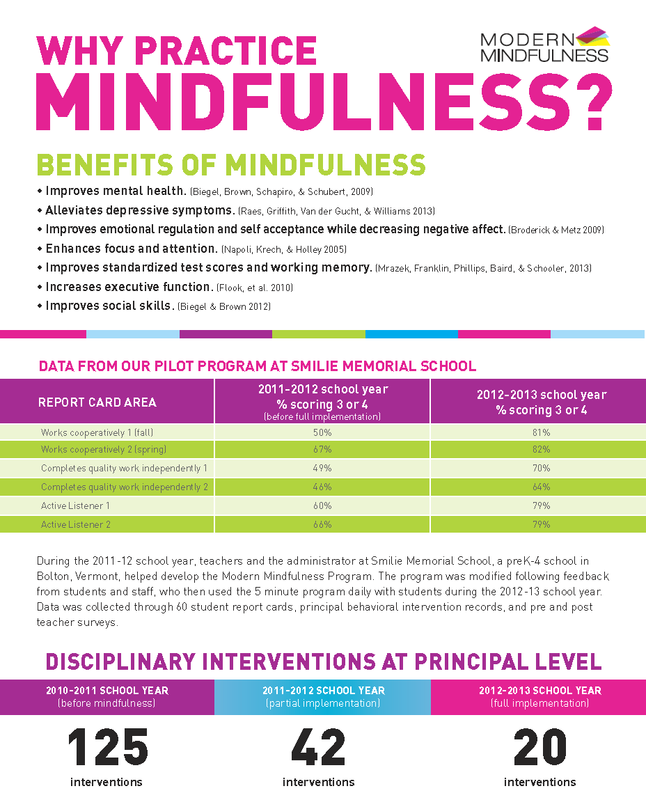 To learn more about the benefits of mindfulness and how ModMind has transformed schools, click on the info sheets below. Print out these sheets to share with your principal, guidance counselor, and colleagues.